The effects of organic (composted cow manure) and synthetic (NPK) fertilizers on pests (aphids and flea beetles) and predatory arthropods (anthocorids, coccinellids and chrysopids) associated with tomatoes were evaluated in a 2-year randomized complete block field experiment. Our data suggested that the application of either organic or synthetic fertilizers could increase pest populations on tomatoes. However, there were lower populations of aphids on tomatoes grown with the organic fertilizer than on those grown with the synthetic fertilizers in the second year of the experiment, indicating that organic fertilizers may have the potential to reduce pest attacks in the long term. Anthocorid populations were larger on tomato plants with high aphid populations in the synthetic than in the organic fertilizers-treated plots. 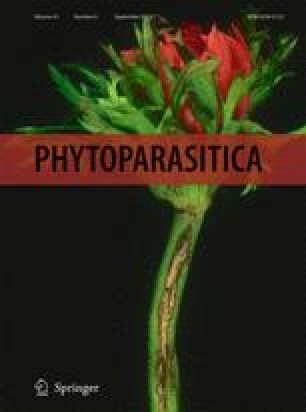 http://www.phytoparasitica.org posting July 6, 2003.